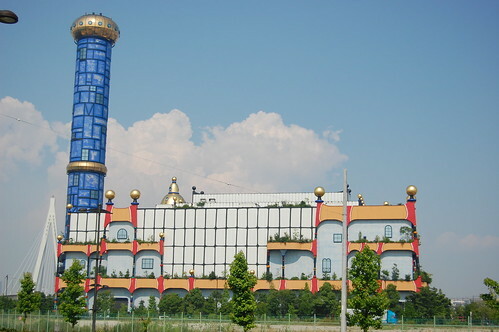 The waste incineration plants are generally drab grey buildings. 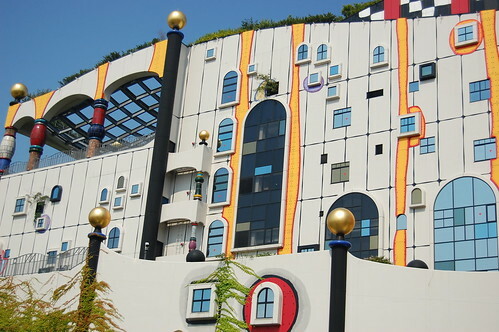 However the Incineration Plant at Maishima Island in the Osaka harbour, Osaka, Japan is a modern energy efficient plant with colourful façade. 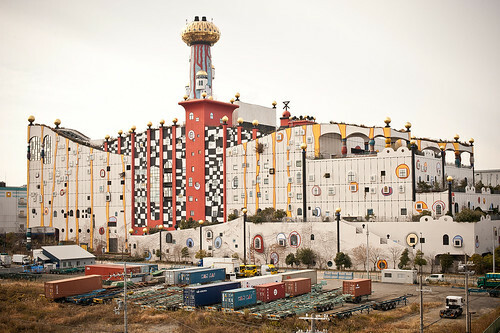 The colourful building, architecturally refurbished and redesigned by the famous Austrian artist and architect Friedensreich Hundertwasser, looks more like a theme park than an incineration plant. "Three stories were designed as an adventure world with a didactic component in order to make visitors, especially school children, conscious of the problems of waste and to encourage their cooperation in working towards a garbage-free society". 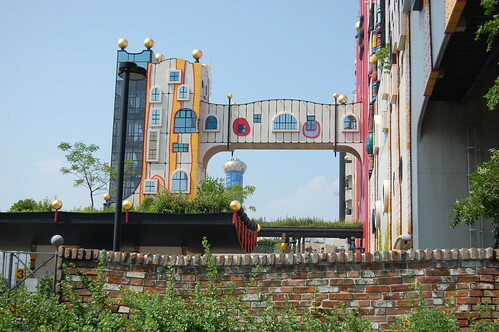 Nearby Sludge treatment plant was also designed by Friedensreich Hundertwasser and it also bears his colourful signature.